Our next bring-your-own lunch meeting, on 23 April, will feature a talk by Dr Hannah Fry from the Centre for Advanced Spatial Analysis. We’ll meet from 12.30 to 2 PM. Please come to the coffee room on the 5rd floor of the hospitable Department of Psychology: 26 Bedford Way, WC1H 0AP (the same building as usual). You can buy drinks and sandwiches at the Café next door to the seminar room on the 3rd floor, or bring your own! Step-free access is available immediately to the right of the main entrance. 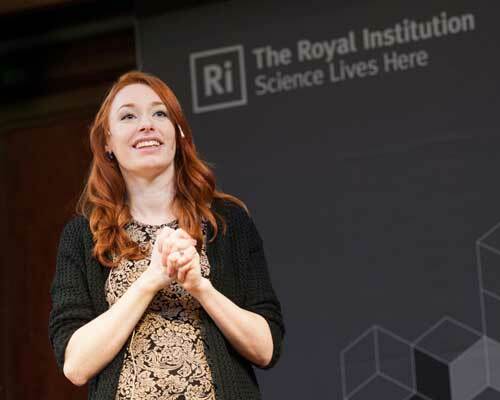 To carry on in our series “Who am I – what am I doing?”, our inspiring speaker is Hannah Fry. She’ll be telling us about herself, her career, and her interdisciplinary work at the boundaries of maths and human behaviour. Dr Hannah Fry is a lecturer in the Mathematics of Cities at the Centre for Advanced Spatial Analysis at UCL. She works alongside a unique mix of physicists, mathematicians, computer scientists & geographers to study the pattens in human behaviour – particularly in an urban setting. Her research applies to a wide range of social problems and questions, from shopping and transport to urban crime, riots and terrorism. Alongside her academic position, Hannah is currently an EPSRC public engagement fellow, taking the joy of maths into theatres, pubs and schools. Her first book “The Mathematics of Love” will be published by TED in February 2015. She also co-presents the BBC worldwide YouTube channel BritLabs (formerly Headsqueeze) and regularly appears on TV and radio in the UK. This entry was posted in Who am I - what am I doing?. Bookmark the permalink.